The majority of David's instructions relate to Care Proceedings. He receives instructions from several Local Authorities whilst also acting regularly for family members and Children’s Guardians. David has acted in many cases involving complex and conflicting medical evidence including fabricated or induced illness, Poisoning, Shaken Baby Syndrome, Sexual and all forms of Physical Abuse. 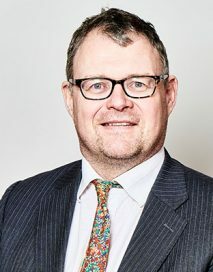 David also accepts instructions in financial provision including in recent years a number of high value cases and cases involving offshore trusts. David has established a practice acting for both Local Authorities and family members. Re B (Fact-Finding Hearing: Evidence) 2009 2 FLR 14 (CA): physical abuse case. Issue concerned the trial Judges fact finding with specific reference to the expert evidence. Re F (ICO) 2007 2FLR 891 2007 EWCA Civ 516 (CA: Care Proceedings. Issue related to proportionality of trial Judges decision taking into account findings of physical abuse. Y (Evidence of abuse: Use of Photographs)  1 FLR 855: Care proceedings. Sexual abuse case. Reliability of expert witnesses relying upon photographic evidence rather than an intimate examination of a child. Re C (Leave to remove from Jurisdiction)  2 FLR 457 (CA): Appeal against Judges refusal to allow a child to permanently leave the Jurisdiction. Wilson v. Webster  1 FLR 1097 (CA): Appeal against a sentence following committal for breach of a domestic violence injunction on grounds that the sentence was too short.